Home » » Fake SARS officer arrested in Abuja. 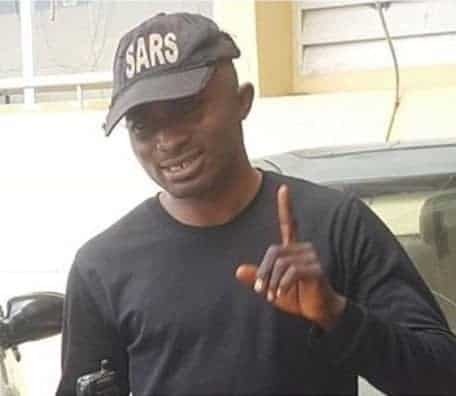 A fake SARS officer identified as Tijani Omeka, who had been posing as Corporal Tijani, has been arrested in Abuja. TheNation reports that the suspect, who is a taxi driver, operates within Mararaba , Area 1 axis of Abuja and extorts money from his victims. The Deputy Commissioner in charge of Criminal Intelligence and Investigation Department, DCP Salisu Gyadi-Gyadi, said Omeka was arrested after the police got a tip off from some of those he had defrauded.